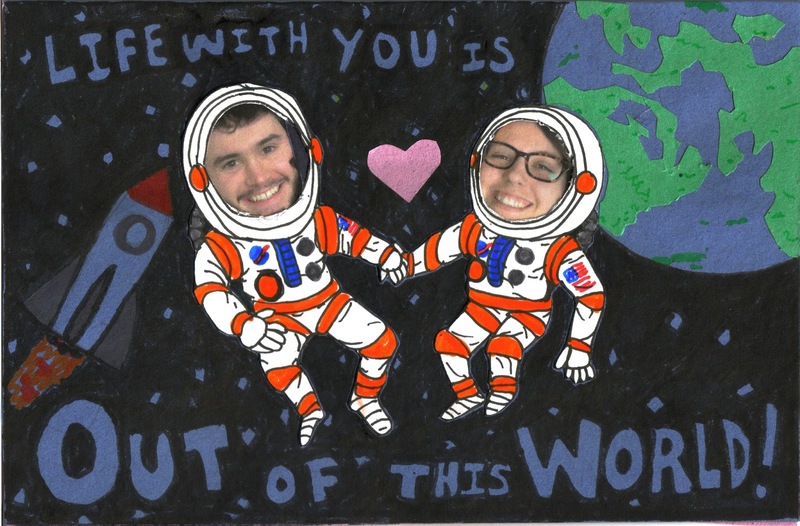 Here is the front of the card I made for my girlfriend this Valentine's day. She is truly incredible so I decided to cut out paper and such to make her a card that showed her how incredible she is. What is more awesome than space?! She wrapped her gift to me in wrapping paper that had photos of her goofiest faces on it! How cool is that?! Really cool? Yes, you are right. I hope that you all have a HAPPY ST. VALENTINE'S DAY!!!!!!!! You deserve it because you are awesome too! God bless!